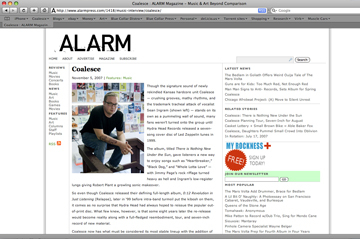 Coalesce » Coalesce featured in Alarm Press. Coalesce featured in Alarm Press. There is a little bit of residual Coalesce press that is trickling in before we go into hibernation to finish writing our new full length. The latest one is from Alarm Press. This one was a lot of fun to do, and they sent a photographer out to boot. Also, an announcement for your overseas folks soon, and the full unedited A.P. Article will post very soon too.